Sherry Maldonado Is rocking this Ariana Grande inspired ponytail. I am loving everything about it. The design of these braids are so charming and alluring to the eyes. It is one of those styles, that can be worn with a pair of casual jeans or a sassy dress. You know, some days we want to relax and be comfortable; meanwhile, be ready to throw on a pair of stilettos and a dress to step out in fashion style from head to toe. This is a all around fashionable style for the modern day women. It is a Chic, Beautiful, and Stylish! This style is beautiful for a wedding or prom. It is so unique with a fancy braid crowning the whole head. Are you looking for a bridal or prom style? 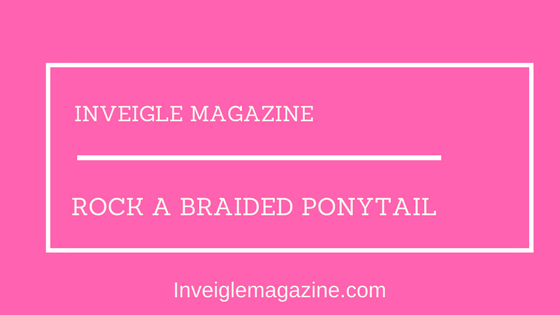 Are you undecided about how to wear your hair? If you know someone that is looking for a fabulous style, have them check this style out.